More than six chapters of Exodus are devoted to a lengthy and detailed description of the ten plagues. Many have wondered why the plagues were necessary, and why these plagues. I would like to explore a different question altogether. Assuming that they were necessary, and assuming that we can figure why these particular ones were chosen, why does the Torah find it necessary to share this with us in such an expansive description? Would it not have sufficed to share with us the general template? Here it is: Moses approaches Pharaoh, Pharaoh refuses, Moses brings the plague, Pharaoh asks him to rescind it and will send the people out, Pharaoh goes back on his word when the plague disappears. This happened nine times – blood, frogs, … until at the final plague he sent the people out. To be sure, there is much to learn from the glut of detail provided in the Torah, yet I am still left with the gnawing feeling that the detail does not justify the amount of biblical real estate devoted to the description – especially since so little changes from one plague to the next. It is hard to imagine anywhere else in the Torah where so much narrative text is devoted to teaching us so little. Upon further reflection, it appears that this lengthy narrative is not the only one of it its kind. In fact, there are two antecedents in Genesis. The first is the story of the flood, whose description is filled with repetition and occupies four chapters of Genesis, and the second is the story of the destruction of Sodom. What is it that ties these stories together? It seems that these narratives share a common theme – God’s dramatic intervention in the course of human history. Unlike God’s interactions with the patriarchs and matriarchs, which involve quiet, private, behind-the-scenes Divine communication, these three form a narrative chain of overt, miraculous intervention. Even more, that intervention seems to be sparked by a wholesale degrading of moral society. The flood story actually has three introductions, each describing moral collapse from a different angle. The story of Sodom has two introductions, one describing God’s inquiry into the cries emerging from the city and the other describing Abraham’s valiant but ultimate futile search for traces of the righteous. The exodus story also has multiple introductory sections, one of which describes the immorality of Egyptian society and the other the immorality in Israelite society, yet with sparks of light emerging from the darkness in each – Shifrah and Puah in the first story, Moses in the second. The message seems to be clear. When a city, nation, or the world have eroded their moral fiber to the extent that their continued existence is no longer justifiable, they threaten the purpose of creation itself, God must make a statement which is so explicit that it leaves no room for ambiguity. There is no working behind the scenes to gently nudge society back on the right path, no room for subtle messages. God’s intervention is as dramatic as creation itself. But there is one additional twist – there seems to be a progression in the three narratives. While God’s actions in the flood story are probably the most dramatic, His explicit communication with humanity is quite limited. There is but a single person with whom He speaks, and there only so that he can save himself and the seeds of the new world. When it comes to the destruction of Sodom, God’s interaction with Abraham is somewhat more extensive, as He seems to invite Abraham into the discussion. This progression reaches its apex in the exodus narrative. Moses is sent repeatedly to Pharaoh to try to avert the doomsday scenario, and Pharaoh repeatedly refuses. At each step along the way there are educational messages being communicated explicitly (see, for example, 4:22-23, 7:5,7:17, 8:6, 8:15, 8:18, 9:14-16, 9:20-21). The length, detail, and expansiveness of the narrative, combined with the implicit and explicit communicated messages, join to create a powerful communicative vehicle. May we never need that intervention again, and may it come swiftly should we need it. 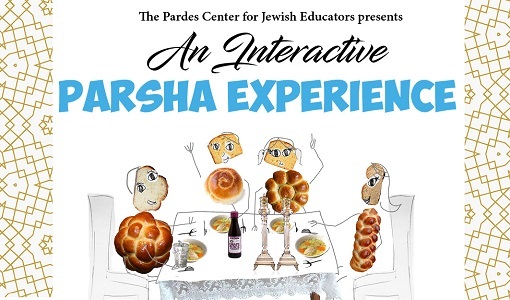 An Interactive Parsha Experience: Bo, The Eighth Plague – Cute Grasshoppers Fill the Land? 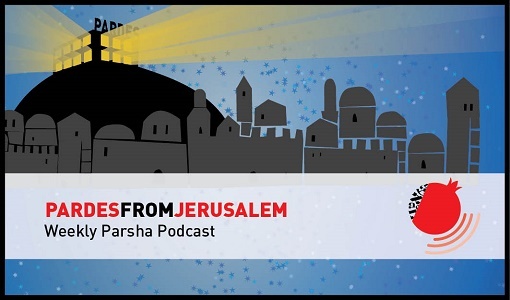 An Interactive Parsha Experience: Va’Era, Do Humans Have Free Will?